I agree. No one likes to have an unhappy baby/toddler/child. I’m not talking about the kind of frustration that comes from being hungry, sick or teething. 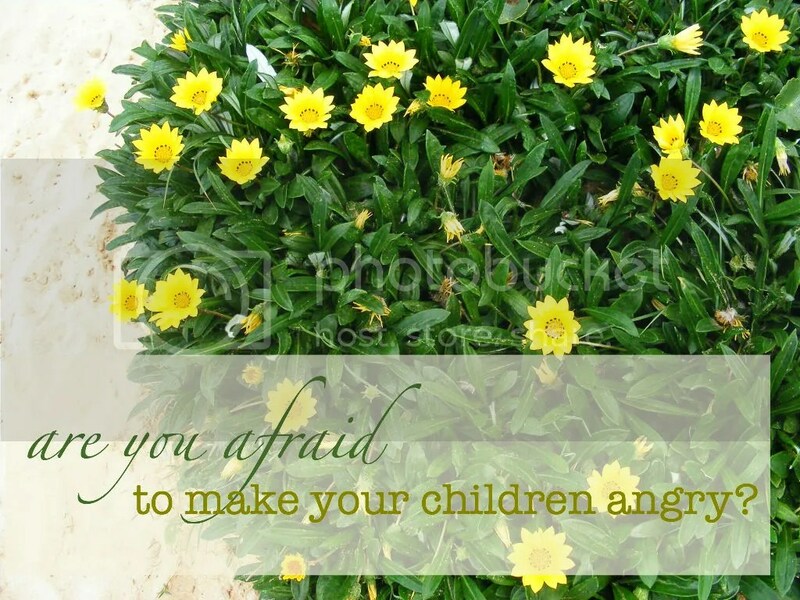 I’m talking about when our kids get angry because they don’t get their way. When they pitch a fit because they’re told no. When they throw a temper tantrum because you won’t buy them a toy. I don’t mean a one time occurrence. Let’s face it, asserting their will is a developmental milestone and we should be happy our children are growing up and starting to have opinions, preferences and desires. However, lying is also a developmental milestone. Just because we can expect it does not mean we should ignore it, or worse, condone it by lack of intervention. This just happened with our daughter. She is getting four incisors and has been fussy and in pain. We attributed bad behaviour to her teething and excused it for a month or so. Soon afterwards I had an epiphany. I stepped back and took a dose of my own medicine. Weigh Test + Measure. I realized her annoying and disobedient behavior was not only a result of teething, and in fact, was probably only minimally related to that. I had started to relax a few rules, try to pacify her and avoid having clashes of the will because I thought it would pass soon with her teeth coming in. After a month she’d turned into not the sweet girl we remembered. My husband and I came up with a game plan we knew would tick her off for a day or two and then, happily, she reverted to her normally sweet obedient and happy self. 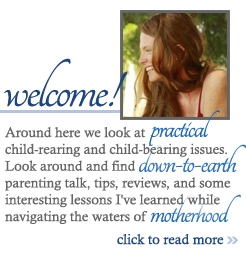 1) Do you feel an acute desire to avoid conflict with your child? It must be said that it gives a mother’s heart joy to make their children happy. I’ve even written about what I like to call the happy cycle. It is our privilege to shower love, nurture and attention on our children in a way that brings their heart joy. However, there will be many times when we do what is best for our children yet they do not like it and it will make them positively not happy. When you are approaching your child to correct them or tell them “no” do you have a feeling inside that urges you to avoid correcting their behavior or disciplining them to avoid the hassle? Do you know they’ll fight you, so you avoid correction to avoid drama? While this inclination is felt by most mothers, it is not something to follow. Feelings can aide our will and mind but they should never take the lead. The more we give in to their emotional outbursts the louder and stronger their emotional outbursts will be. They will intuitively know that you aren’t going to fight them and they will kick up a big fuss to keep in control. The sooner you quit doing this the sooner their behavior will turn around. 2) When you know your child will react by screaming, throwing a fit or kicking, do you give in? Something like this was happening at our home. My daughter was starting to scream when she was frustrated, yell no when I made her do something she didn’t want and was generally less sweet than the previous 19 months of her life. I stepped back, evaluated and realized that since I thought this was a small phase as she was teething, I’d stopped making her do what I wanted her to do. Instead, I’d tried to reason with her (even after I’d talked so emphatically against that here) and gave in after she made a fuss. Once I “cottoned on” to this (as they say here in Australia) I stopped. I stopped giving in, I stopped reasoning with her, and I started using my own dadgum advice. After one torturous (for my toddler) morning she calmed down, started following my direction with a sweet spirit and acted generally happier. Since then I’ve even forgotten she is getting four teeth. They obviously were not the culprit. My change in parenting technique was. 3) You need to be proactive, not simply reactive. We don’t need to parent by bouncing off of our children’s actions. We have a strategy and we go by it. Then, we can be flexible throughout the day based on our children’s desires and preferences, but only to a certain extent. If we cook dinner and they decide they want take out, that doesn’t mean we change our dinner plans. If we need to grocery shop and they try to mutiny, it doesn’t mean we reschedule the shopping trip until later. If they want to eat your entire bag of Reese’s sent as contraband from the States in a package via your mother just before lunch, that doesn’t mean I share give in. We mothers need to steel ourselves to carry through with our word. We can’t back down. When we issue a directive (particularly if it important for the health, safety and well-being of our child) we need to stick with it until it is carried out. If they throw a big fuss that does not mean we back down and give in. Backing down and giving in will only transfer a portion of your right parental control to them. They’ll see that their bad behavior has been reinforced and they’ll think “hey, I see what happens, I scream and mommy gives me what I want, okay, this is how life works.” That may be how life works for them now, but outside your four walls that doesn’t work, and a major goal of parenting is to set your children up to succeed in their society. 4) It will eventually turn around, and then you won’t fear their reaction because their reaction will be an acceptable one. If you consistently don’t accept bad behaviour or reactions then they will fall into line. Read How Long Until you See Results for a general idea. If they know that pitching a fit in rebellion to your direction does not work they will wise up. Imaging going shopping and taking your merchandise to the checkout counter where you attempt to pay with your credit card. If your card is declined every time, you don’t continue shopping for things you can’t buy, do you? No. You realize there’s no point and you stop. Your kids will do the same. 5) Organize their day better and there’ll be less time for frivolous power struggles. Not only did I confront the behavior head on when I knew she’d throw a fit, scream no and get upset, I also started to organize her day better. Instead of letting her run around the house for an hour at a time (which meant she got bored and into mischief) I would sit her down with crayons on a high stool she couldn’t get off, and she’d color for half an hour. I’d put her on the counter while I cooked. We’d read 5 books at a time. She then focused, helped me and was less likely to get into something she shouldn’t. If we let our kids roam the house free all day long they will inevitably get into something they shouldn’t. Then, when we correct them, they become frustrated because they were able to do whatever they pleased and then forced to stop. No one likes to give back conquered territory. Definitely not children. I agree and am a mother to a 22 year old who was trying to get control before she became an adult, a 12 year old son, 9 year old son, and 4 year old daughter and they all still at times throw fits to try to get their way. I have to say no and stick with it for their own good. But I am guilty of giving in at times, but it is still a learning process and at times at my wits end. But I am getting better at not giving in just to please them, after all I am their mother and not their friend to be popular. I tell them being a mom is better because even when they mess up, I will still be there for them and they will have consequences. It is tougher as they get older. I mess up too, I tell you! My boss said that the other day to me. The fits they throw at 1.5 are nothing compared to the fits they’ll throw at 5, etc. Plus, I honestly think that by not giving in and sticking to your guns now, as they mature and go out into the world, you will find you are very popular with them!